Shanna Blacquiere. Born in Ontario, Canada, Shanna is a third year Bachelor of Business Administration student with a specialization in Accounting. 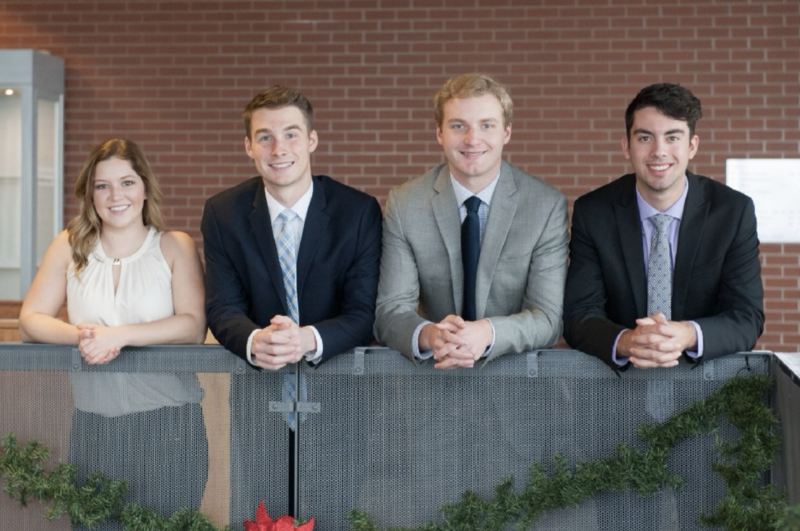 She has been in the UPEI Case Competition Program for two years and has competed at national and international competitions. She is a co-founder and co-president of the University of Prince Edward Island Chapter of the Prince Edward Island Business Women’s Association. The student group aims to support and encourage women to pursue business careers and leadership roles. After graduation, Shanna plans to pursue a career in accounting. Jacob Ezeard. Born in Prince Edward Island, Canada, Jacob is a third year Bachelor of Business Administration student with an Economics minor. 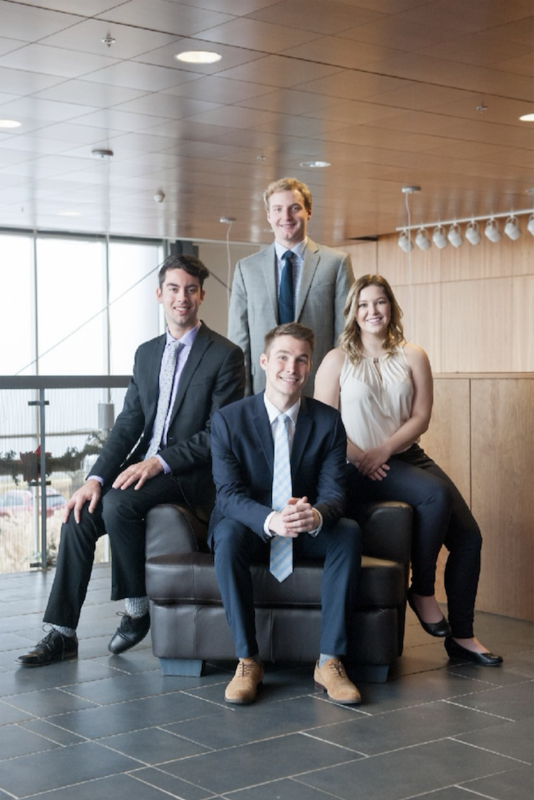 He has gained experience in accounting while working as a student proctor for university professors, and work placements during the summer months have increased his knowledge of business operations in the Canadian tourism industry. Jacob volunteers with several non-profit organizations and social initiatives to broaden his horizons in the areas of politics, religious studies, athletics, and music. Jacob plans to attend law school upon completion of his undergraduate degree, and pursue a career in corporate law. Shanna Blacquiere, Jacob Ezeard, Jackson Reddin and Zachary Geldert. Zachary Geldert. Born in Prince Edward Island, Canada, is a fourth year Bachelor of Arts student with a major in Sociology, a certificate in Business, and minor in Economics. During his time at UPEI, he has written for the UPEI student newspaper and been the managing editor of the business section. Zach has, for a number of years, been involved with minor hockey, volunteering as a goaltending coach and a supervisor of young game officials and officiating all levels of hockey across the PEI. He currently works in the Human Resources division at Veterans Affairs Canada. Zach will be attending law school at Dalhousie University (Halifax, Nova Scotia, Canada) in the fall of 2018. He plans to continue his education to become a professor of law, focusing on how legal systems function in the shaping of economic and social decisions and outcomes with a specific focus on the healthcare sector. Jackson Reddin. Jackson, born in Prince Edward Island, Canada, is a 4th year Bachelor of Business Administration student. He has a keen interest in investing and has been active in the stock market for over 10 years. During the summer months, when he is not studying at UPEI, Jackson manages the Outside Services Department at one of PEI’s world-renowned golf courses, where he has worked in various positions for the past eight years. He also volunteers as a coach for a youth flag football team at a local junior high school. After he graduates from UPEI, Jackson plans to pursue a Master’s in Business Administration and eventually become an investment advisor. Mary Whitrow (Coach). Mary, born in Prince Edward Island, Canada, is UPEI’s Business Case Competitions Program Coordinator and Coach. She also works on many marketing initiatives for the University and is the Editor of the Faculty of Business Magazine, Engage. Prior to joining UPEI, Mary worked as a Marketing Specialist at one of Progress Magazine’s TOP 101 Companies in Atlantic Canada, and did some freelance business consulting. Mary loves to travel and speaks some French and Spanish. Jackson Reddin, Middle row: Zachary Geldert, Shanna Blacquiere, Front row: Jacob Ezeard.